Home of the Reusable Glow Stick and Amazing Light. 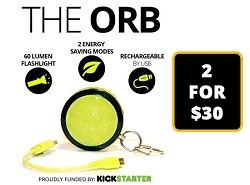 The Orb is a rechargeable flashlight and a reusable glow stick. 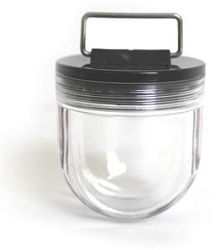 It eliminates the need to buy replacement batteries and one-time use glow sticks. 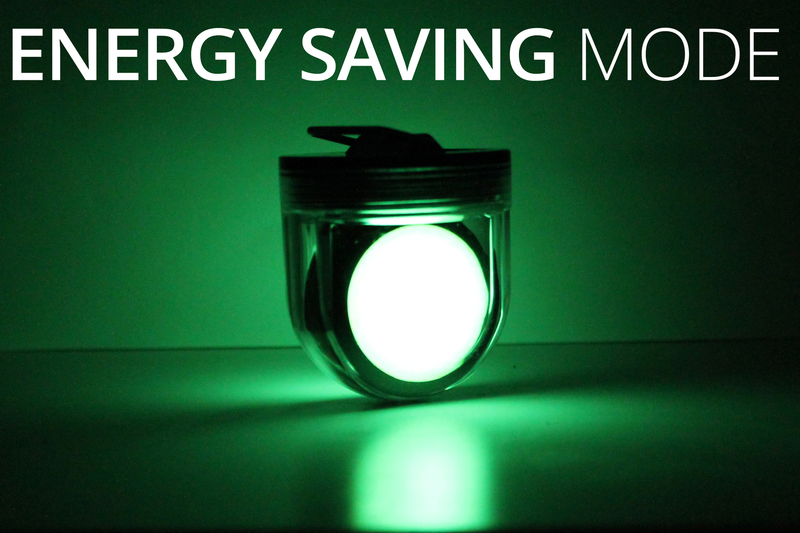 Its portable design makes taking a flashlight with you easy and its patent-pending energy saving concept will increase the battery life. 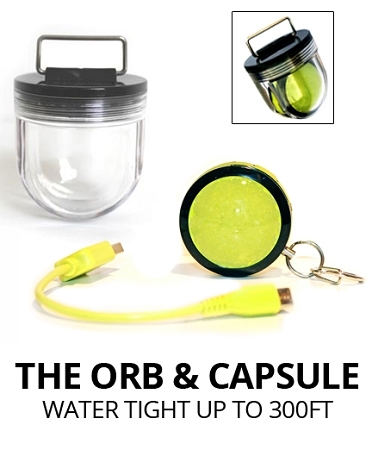 The Orb has a lithium-ion rechargeable battery which plugs into any USB port (cable included), a hybrid mode which combines glow-in-the-dark and short bursts of light to increase battery life, and a dark sensing mode so that it will only turn on when it's dark. 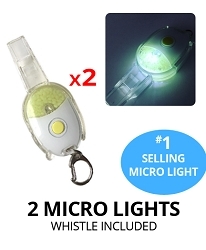 Keep one in your car, purse, backpack, or attach to keys. Press and hold the ON button until it flashes one time- this is the hybrid mode. The Hybrid mode sends Short bursts of light every two minutes keeping the glow in the dark face to glowing super bright. Batteries will last up to 100 hrs per charge in the hybrid mode. For even more efficiency press and hold the ON button until it flashes two times- you just activated the light sensor now the Orb will only function in hybrid mode when it’s dark. So you can clip it on your backpack and forget about it. 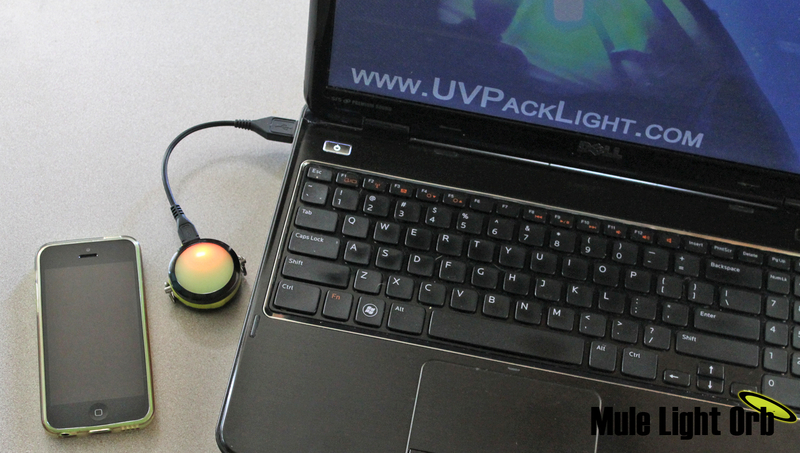 Don’t worry about overusing the orb it recharges like your cell phone…just plug it into any USB port. To use the Orb underwater (up to 200mm/300ft). Select mode. Remove slip ring. Place into the capsule. Screw lid on tightly. The Orb has been tested up to 100m. We love hearing from our customers. If you have a question about our products, your order status, share a new product idea, or want to become a dealer? Please reach out to us by phone, email or text. Copyright UV Paqlite. All Rights Reserved. by 3DCart eCommerce Platform.